SOUTHERN CALIFORNIA – Nov. 3, 2016 – RighTime® Home Services, a leading provider of air conditioning, heating, plumbing and indoor air quality services in Southern California announced today it’s third annual Veterans Day promotion, offering a special discount to military members in the area. From Nov. 11 through Dec. 11, all active duty, reserve, veteran and retired members of the U.S. Armed Forces residing in Los Angeles County, Orange County, the Inland Empire, Palm Springs and San Diego will receive $11 furnace tune-ups, which are regularly priced at $129. A furnace tune-up can help support the health and safety of the home, as well as help keep energy costs down and help prevent potential breakdowns in the middle of winter. 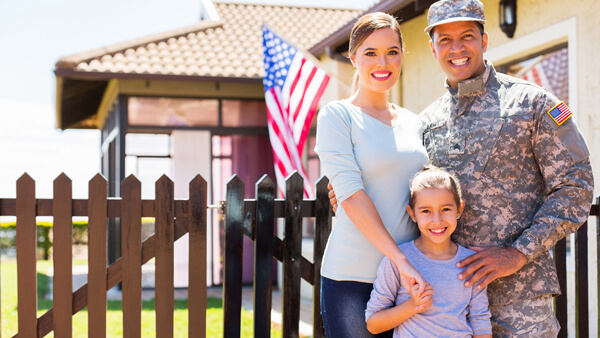 In addition to the annual Veteran’s Day offer, RighTime Home Services has committed to partnering with charities in the surrounding area that work to help veterans get back on their feet after returning from service. Most recently, RighTime Home Services of Orange County donated and installed eight Wi-Fi thermostats at the OC Rescue Mission’s Tustin Veteran’s Outpost Housing Facility. These thermostats allow the team to program the temperature and energy usage for the entire housing facility from one device, as well as save money and energy over time. The $11 furnace tune-ups are not valid with any other discounts. All military personnel must show proof of military ID to the service technician at the time of their appointment. To sign up for an $11 Veteran’s Day special furnace tune-up before Dec. 11, please call (877) 959-5025 and mention the special offer or visit www.rightimeservices.com/locations/. RighTime® Home Services is a leading brand of American Residential Services LLC, operating a network of more than 60 company-owned, locally managed service locations spanning 22 states, with approximately 5000 employees. United by exceptional service ®, the ARS® / Rescue Rooter® Network serves both residential and light commercial customers by providing heating, cooling, indoor air quality, plumbing, drain cleaning, sewer line, radiant barrier, insulation and ventilation services. Each location has a knowledgeable team of trained specialists. Providing exceptional service and ensuring the highest standards of quality, RighTime Home Services has the experience to do any job right. For more information, visit www.rightimeservices.com or call (866) 518-6480. Previous PostPrevious RighTime is Hiring!